The sun is shining and it’s a beautiful day! Well, one can dream, right? The Jersey Shore seems to have more clouds then sun lately but we know it won’t be long, right? With the Memorial Day weekend here is just about a week, a picnic is a wonderful way to celebrate! There will be lots of barbecues and tailgating happening during the holiday weekend and we want to be sure you are prepared. 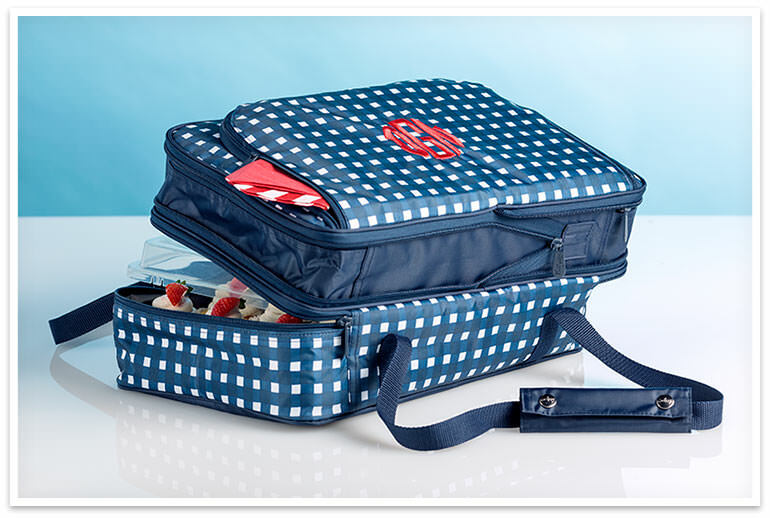 So here are some tips from Thirty One to help you pack the perfect picnic…. Whether you are picnicking alone or with a group of family or friends, we have a tote or thermal just for you! 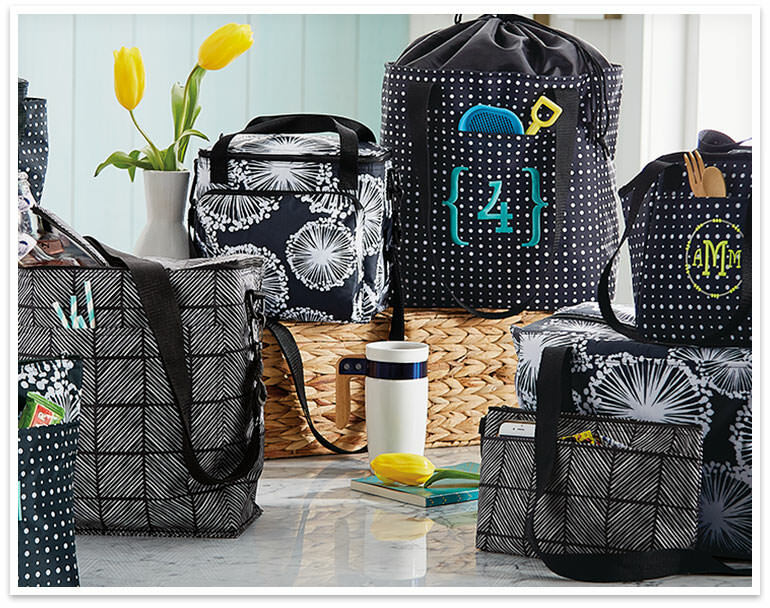 When you’ve invited all of your daughter’s soccer pals or each of your son’s camp buddies to join you on a picnic, only Thirty-One’s Large Utility Tote will do! A best-seller since it was introduced, the Large Utility Tote is big enough to pack everyone’s favorite foods. The wire support around the opening means it holds its shape, and you can see all of the food and drinks you have packed so you don’t forget a thing. Add a Top-A-Tote to keep the contents covered and secure. Create some memories by taking the family dinner outside! The Perfect Party Setreally is perfect – perfect for keeping food either hot or cold in one of its two thermal compartments. Each water-resistant section is large enough to fit a 9×13″ pan, making it a flexible option for any picnic. Place your hot casserole in the bottom compartment, and don’t forget a dozen cupcakes on top! 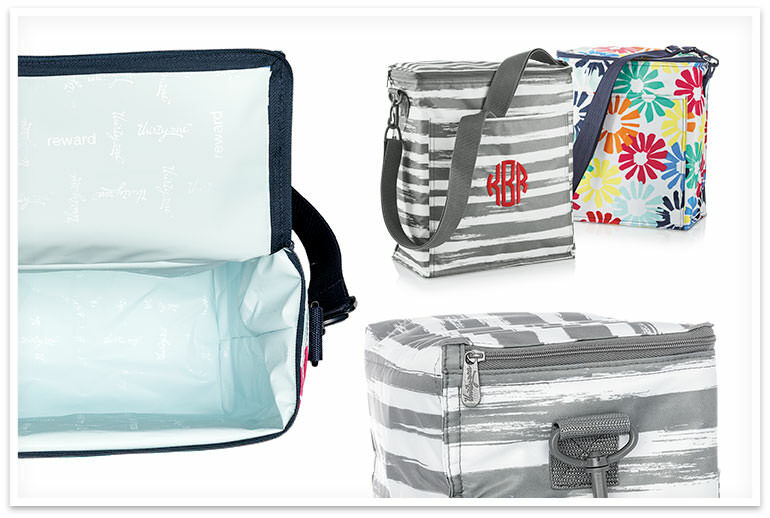 Whether you’re picnicking with your bestie or your special someone, the Picnic Thermal Tote is an ideal option. Tall enough to fit your favourite bottled beverage, the tote even has a Leak Lock thermal lining for ice to keep things cold. The zip-around closure makes it easy to load and unload, and the adjustable, detachable strap means you can keep your hands free. Remember to stick a few extra napkins in the exterior front pocket! At work or at home, the Lunch Break Thermal is the convenient choice when you need a picnic all to yourself! Throw it in your car, tuck it in your office refrigerator or take it to the beach – the durable fabric will make it your thermal of choice when you want some time alone. The extended handles allow you to throw it over your shoulder in a moment, and the exterior pocket is roomy enough for your keys, phone or wallet. So go ahead: Make your escape! Life is busy, and the Around The Clock Thermal is ready to follow you at lunchtime, snack time or anytime! If you’re not quite sure where you’ll be throughout the day, this thermal is one of your most versatile options. The thermal lining means you can be confident your food will stay cool, and (bonus!) it’s water-resistant to make clean-up a breeze. Large enough for lunches or a variety of snacks, the interior mesh pocket and front exterior zipper pocket also are handy options for storage. If you’re on the go from dawn to dusk, this thermal is the one for you! Need a visual…. it will hold a 6-pack with some room for a few snacks. 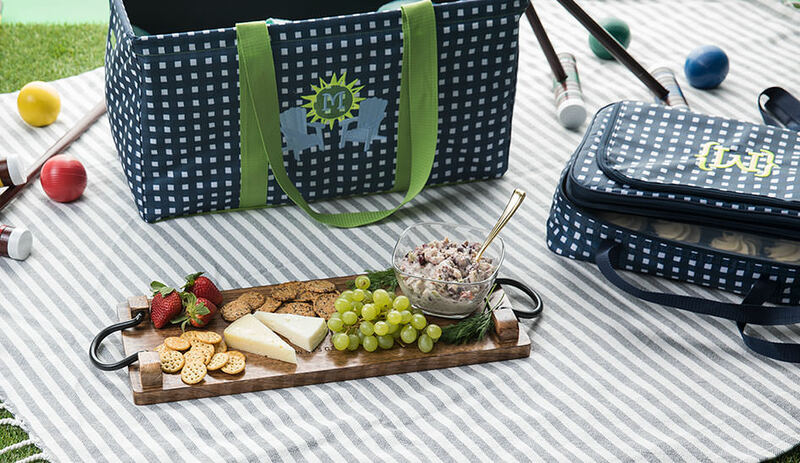 Picnics are a blast, so make sure you have some fun with whichever picnic thermal or tote you choose! Don’t forget: A monogram or other personalization adds a special touch to a special meal, all season long. 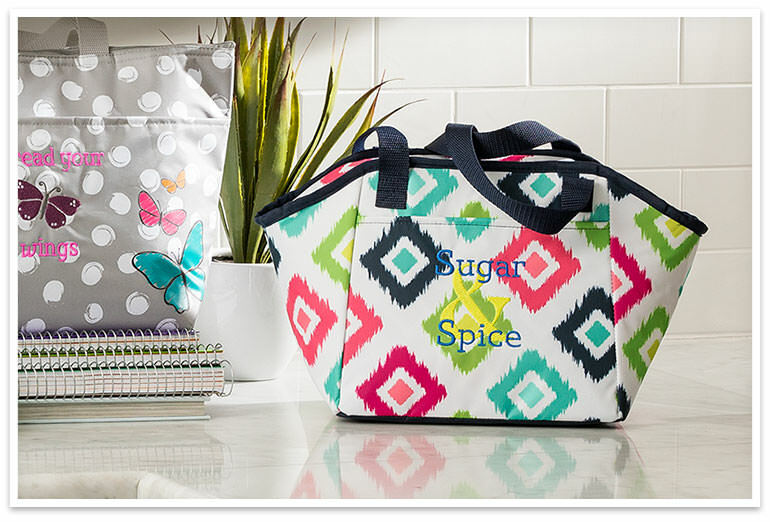 Thank you ThirtyOne for today’s blog post… Have a ThirtyOne-derful day! I really like the idea of outdoor partying, and your inputs are going to be of great use to my future plans. Thanks.